Trump SoHo is a high rise in lower Manhattan, part hotel, part condos; it's 46 stories tall, all slick grey glass. Conflicts, from zoning battles to accusations of fraud, have followed the project since it was announced during a 2006 episode of The Apprentice. According to reports by Bloomberg News, Trump SoHo has attracted the interest of Department of Justice special counsel Robert Mueller, who is investigating possible ties between Trump's 2016 presidential campaign and Russian officials. 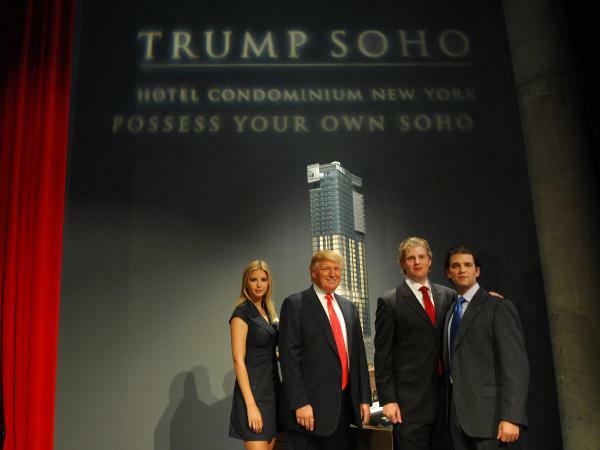 To build Trump Soho, the Trump Organization worked with a company called Bayrock, founded by the wealthy Soviet-born financier Tevfik Arif, who, among other things, owned a chromium plant in Kazakhstan. Questions also surround another major player in the project, Felix Sater, who has a criminal history that includes stabbing a man during a bar fight, and pleading guilty to a securities fraud scheme that involved the mafia.